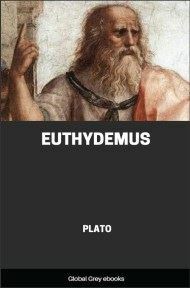 Euthydemus is a dialogue by Plato which satirizes what Plato presents as the logical fallacies of the Sophists. In it, Socrates describes to his friend Crito a visit he and various youths paid to two brothers, Euthydemus and Dionysodorus, both of whom were prominent Sophists from Chios and Thurii. The Euthydemus, though apt to be regarded by us only as an elaborate jest, has also a very serious purpose. It may fairly claim to be the oldest treatise on logic; for that science originates in the misunderstandings which necessarily accompany the first efforts of speculation. Several of the fallacies which are satirized in it reappear in the Sophistici Elenchi of Aristotle and are retained at the end of our manuals of logic. But if the order of history were followed, they should be placed not at the end but at the beginning of them; for they belong to the age in which the human mind was first making the attempt to distinguish thought from sense, and to separate the universal from the particular or individual. How to put together words or ideas, how to escape ambiguities in the meaning of terms or in the structure of propositions, how to resist the fixed impression of an ‘eternal being’ or ‘perpetual flux,’ how to distinguish between words and things — these were problems not easy of solution in the infancy of philosophy. They presented the same kind of difficulty to the half- educated man which spelling or arithmetic do to the mind of a child. It was long before the new world of ideas which had been sought after with such passionate yearning was set in order and made ready for use. To us the fallacies which arise in the pre-Socratic philosophy are trivial and obsolete because we are no longer liable to fall into the errors which are expressed by them. The intellectual world has become better assured to us, and we are less likely to be imposed upon by illusions of words. 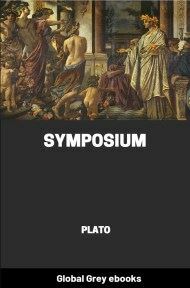 The logic of Aristotle is for the most part latent in the dialogues of Plato. The nature of definition is explained not by rules but by examples in the Charmides, Lysis, Laches, Protagoras, Meno, Euthyphro, Theaetetus, Gorgias, Republic; the nature of division is likewise illustrated by examples in the Sophist and Statesman; a scheme of categories is found in the Philebus; the true doctrine of contradiction is taught, and the fallacy of arguing in a circle is exposed in the Republic; the nature of synthesis and analysis is graphically described in the Phaedrus; the nature of words is analysed in the Cratylus; the form of the syllogism is indicated in the genealogical trees of the Sophist and Statesman; a true doctrine of predication and an analysis of the sentence are given in the Sophist; the different meanings of one and being are worked out in the Parmenides. Here we have most of the important elements of logic, not yet systematized or reduced to an art or science, but scattered up and down as they would naturally occur in ordinary discourse. They are of little or no use or significance to us; but because we have grown out of the need of them we should not therefore despise them. They are still interesting and instructive for the light which they shed on the history of the human mind. There are indeed many old fallacies which linger among us, and new ones are constantly springing up. But they are not of the kind to which ancient logic can be usefully applied. The weapons of common sense, not the analytics of Aristotle, are needed for their overthrow. Nor is the use of the Aristotelian logic any longer natural to us. We no longer put arguments into the form of syllogisms like the schoolmen; the simple use of language has been, happily, restored to us. Neither do we discuss the nature of the proposition, nor extract hidden truths from the copula, nor dispute any longer about nominalism and realism. We do not confuse the form with the matter of knowledge, or invent laws of thought, or imagine that any single science furnishes a principle of reasoning to all the rest. Neither do we require categories or heads of argument to be invented for our use. Those who have no knowledge of logic, like some of our great physical philosophers, seem to be quite as good reasoners as those who have. Most of the ancient puzzles have been settled on the basis of usage and common sense; there is no need to reopen them. No science should raise problems or invent forms of thought which add nothing to knowledge and are of no use in assisting the acquisition of it. This seems to be the natural limit of logic and metaphysics; if they give us a more comprehensive or a more definite view of the different spheres of knowledge they are to be studied; if not, not. The better part of ancient logic appears hardly in our own day to have a separate existence; it is absorbed in two other sciences: (1) rhetoric, if indeed this ancient art be not also fading away into literary criticism; (2) the science of language, under which all questions relating to words and propositions and the combinations of them may properly be included. To continue dead or imaginary sciences, which make no signs of progress and have no definite sphere, tends to interfere with the prosecution of living ones. The study of them is apt to blind the judgment and to render men incapable of seeing the value of evidence, and even of appreciating the nature of truth. Nor should we allow the living science to become confused with the dead by an ambiguity of language. The term logic has two different meanings, an ancient and a modern one, and we vainly try to bridge the gulf between them. Many perplexities are avoided by keeping them apart. There might certainly be a new science of logic; it would not however be built up out of the fragments of the old, but would be distinct from them — relative to the state of knowledge which exists at the present time, and based chiefly on the methods of Modern Inductive philosophy. Such a science might have two legitimate fields: first, the refutation and explanation of false philosophies still hovering in the air as they appear from the point of view of later experience or are comprehended in the history of the human mind, as in a larger horizon: secondly, it might furnish new forms of thought more adequate to the expression of all the diversities and oppositions of knowledge which have grown up in these latter days; it might also suggest new methods of enquiry derived from the comparison of the sciences.